BRENDAN Lawlor produced a superb performance over the weekend to finish second in the Australian All Abilities Championship in Sydney and copper-fasten his position as one of the top disabled golfers in the world. The 21-year-old member of Dundalk Golf Club was one of 12 players from around the world who took part in what was a tournament within a tournament as the disabled players teed it up alongside the professionals playing in the Emirates Australian Open at East Lake Golf Club. Lawlor finished 10 shots behind Sweden’s Johan Kammerstad who blew the field away with a blistering final round that included five birdies but Lawor, who had started the day three shots off the lead in joint second place, held on to edge out Belgium’s Adam Wahbi and take the runners-up spot. 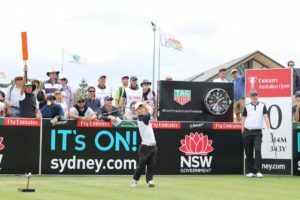 Lawlor and his colleagues played off the championship tees and experienced the very same conditions as the pros over their three days of a competition that attracted huge media attention in Australian and saw the Louthman feature regularly on the television coverage of the event. The Dundalk senior panel player got off to a great start in his opening round which he started off the tenth tee and, after parring his opening three holes, notched a birdie three at the 13th. He was leading playing his final hole, the par three ninth, but he double bogeyed to drop back to second, one shot behind Wahbi. 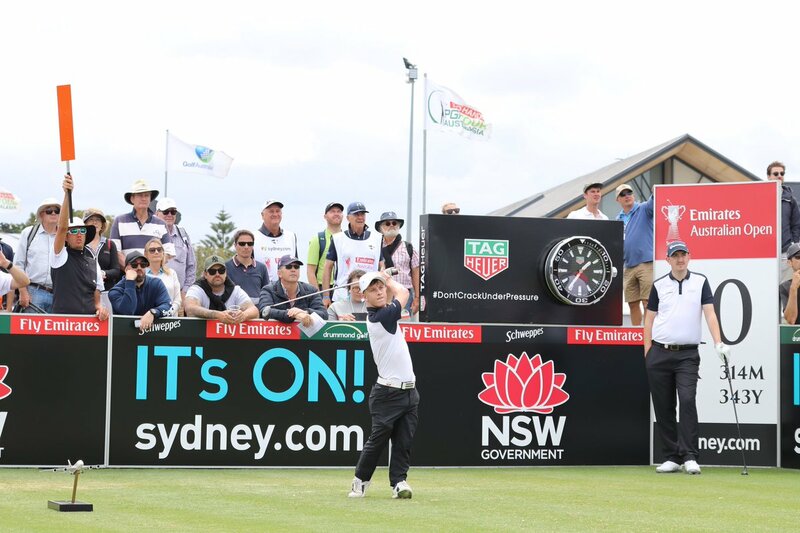 The second round on Saturday was much tougher for everybody as the wind howled across the famous Sydney links and made it a battle to survive. Lawlor followed up his opening round of 78 with an 85 but stayed second, just three shots behind new leader Kammerstad and alongside Wahbi. The three leaders were grouped together in the final round and it soon became clear that Kammerstad was on fire and wasn’t going to be caught so Lawlor focused on ensuring he finished ahead of the Belgium which he did as he carded an 80 to Wahbi’s 83. One of the purposes of this event was to increased the profile of disabled golf with a view to it becoming a Paralympic sport in 2024 but such was the successes of the event in Australia that there is now speculation that it may feature at next year’s Open Championship in Portrush. Lawlor now heads from Sydney to Melbourne to take part in a Ryder Cup style event between Europe and Australia which will be part of the World Cup of Golf. Ireland will be represented at that event by Shane Lowry and Paul Dunne and Lawlor is looking forward to meeting the pair later this week.